Klamath-Siskiyou Native Seeds had a booth at the Rogue Valley Seed Exchange and Seed Circus — put on by Families for Food Freedom — yesterday, in Ashland, OR. What a fun event! 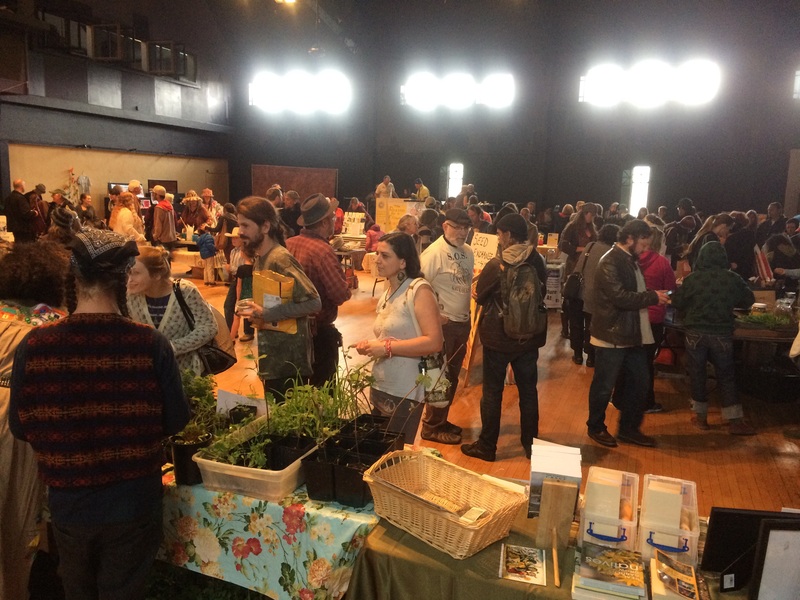 Seed lovers and plant enthusiasts of all kinds came out to join in the festivities to further develop and engage community seed networks. 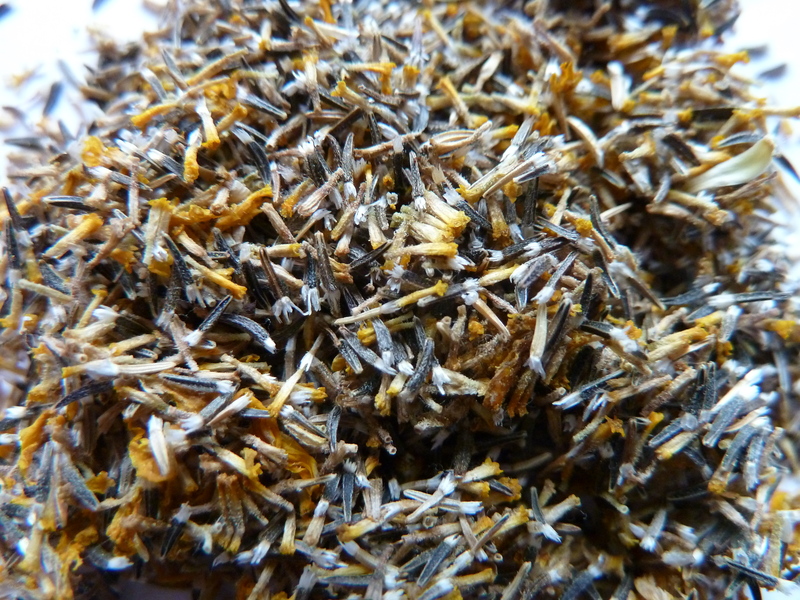 Native seeds have an integral role to play in sustainable agriculture and land management. It would be great to see more communities having events that encourage community seed networks, such as this one in Ashland. Thanks to everyone who helped make the event a success! 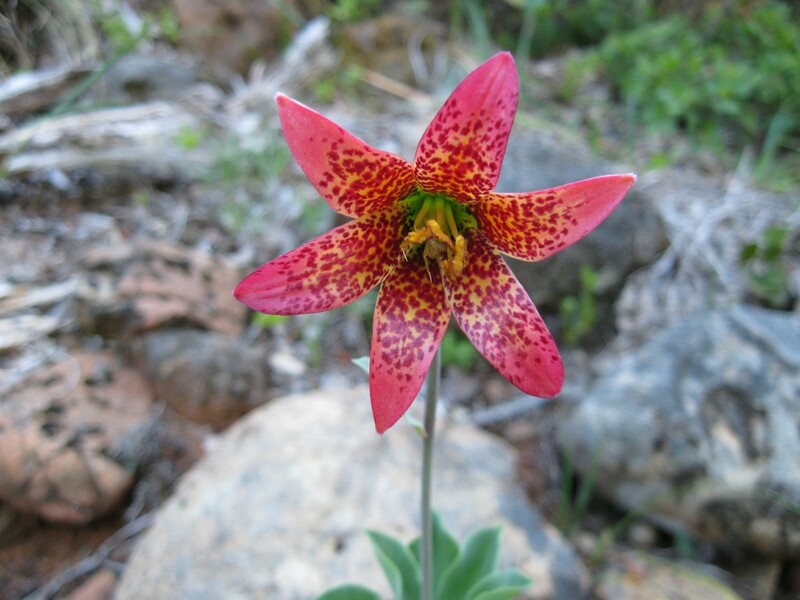 The Klamath-Siskiyou Bioregion: A place of rugged and beautiful biodiversity. 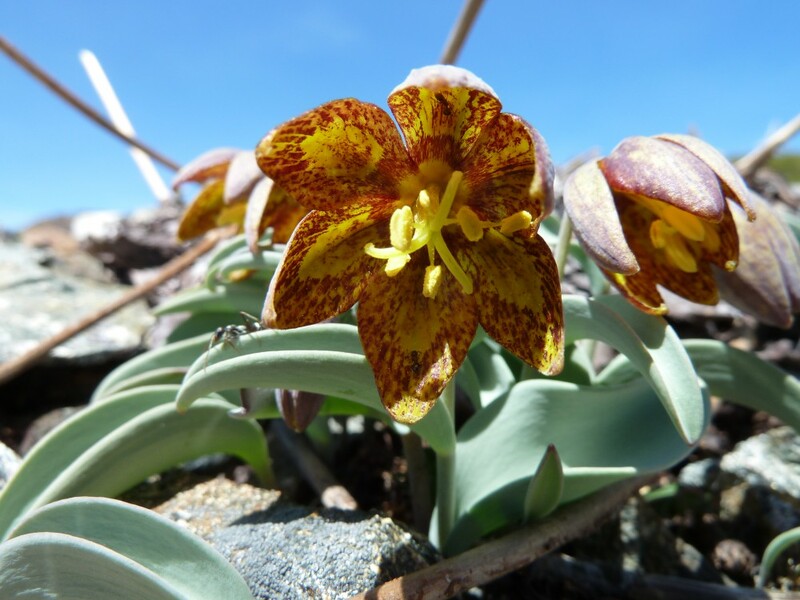 The tiny Siskiyou frittilaria (Frittilaria glauca). Notice the ant on the leaf. Baker cypress (Cupressus bakeri) is the most northern cypress in North America. It has a range restricted to only northern California and southern Oregon, predominately in the Klamath-Siskiyou Mountains. 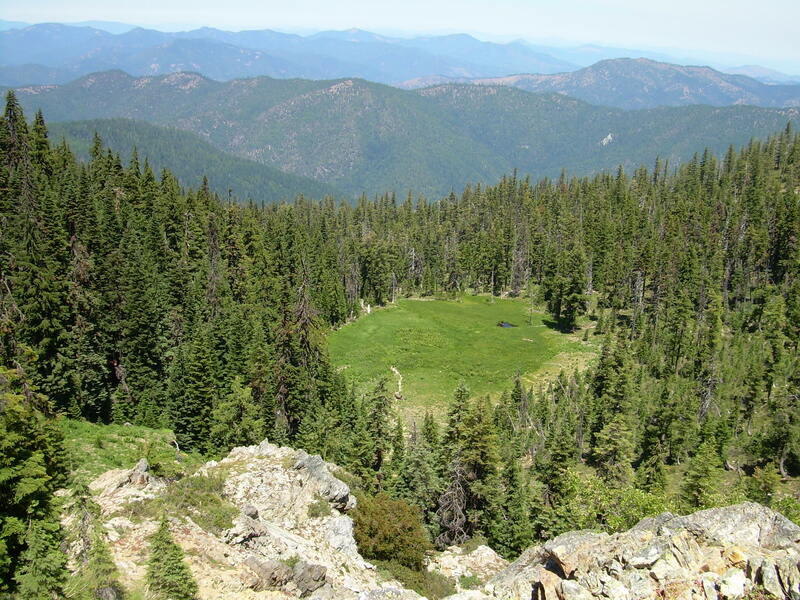 Tucked into the borderlands of northern California and southern Oregon, the Klamath-Siskiyou Mountains are a place of raw, rugged beauty renowned for their biodiversity. The region is home to more species of conifer —32 of them—than any other temperate conifer forest in North America. 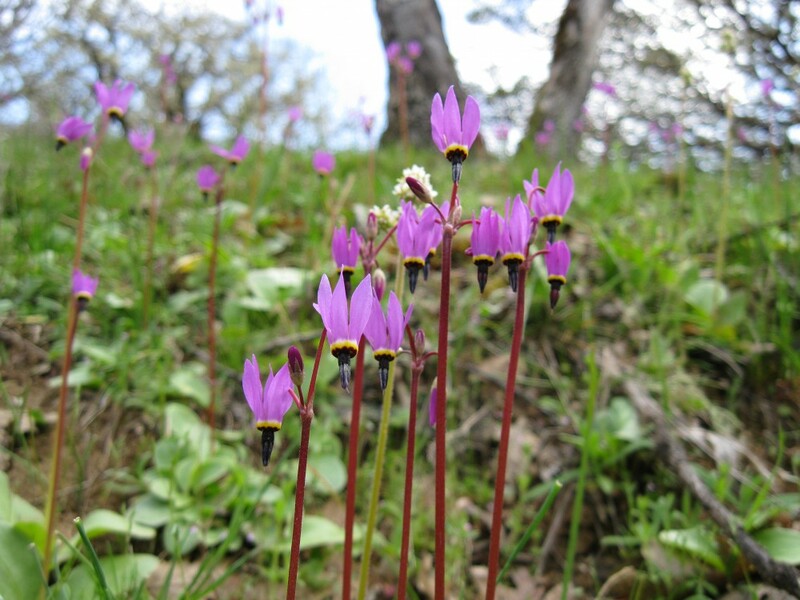 The Klamath-Siskiyou ranks second in North America in terms of endemism (organisms found nowhere else in the world), and third in total species richness. Shown is one of the largest Baker cypress (Cupressus bakeri) trees in the world. 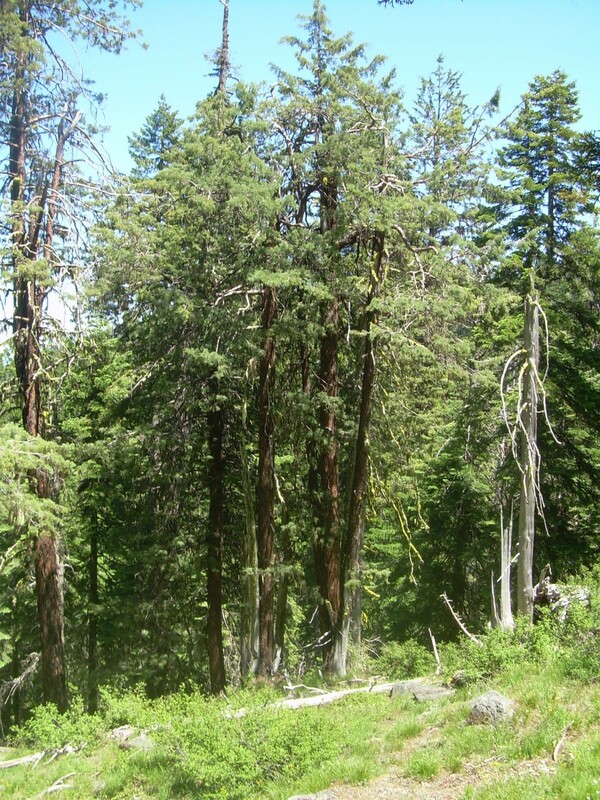 This grove of large trees is located at Miller Lake in the Siskiyou Mountains. The region rises abruptly, creating a jumbled mass of rugged and diverse mountains, jagged peaks, wild rivers, and deep forest. 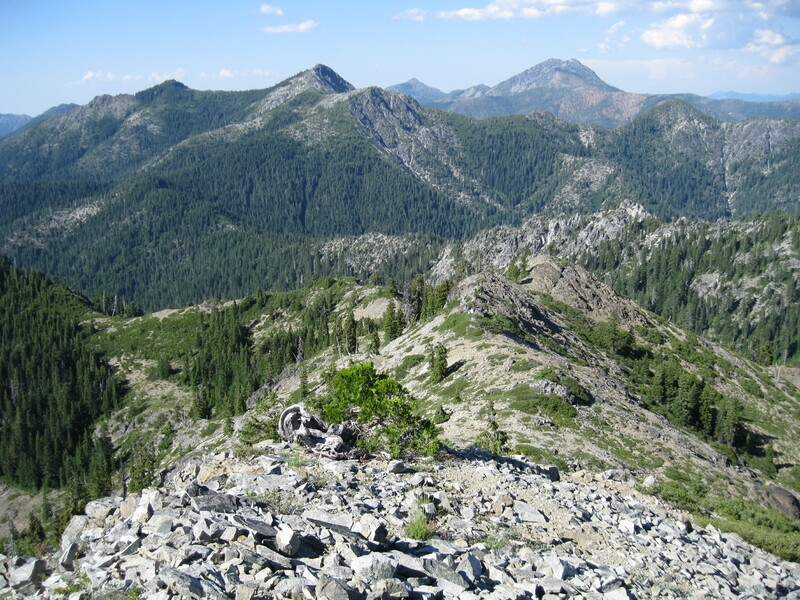 Ancient and complex bedrock defines the Klamath-Siskiyou region as a whole. This seemingly haphazard patchwork of rock types creates and supports an unusually diverse and contrasting mosaic of habitat types, microclimates and plant diversity. 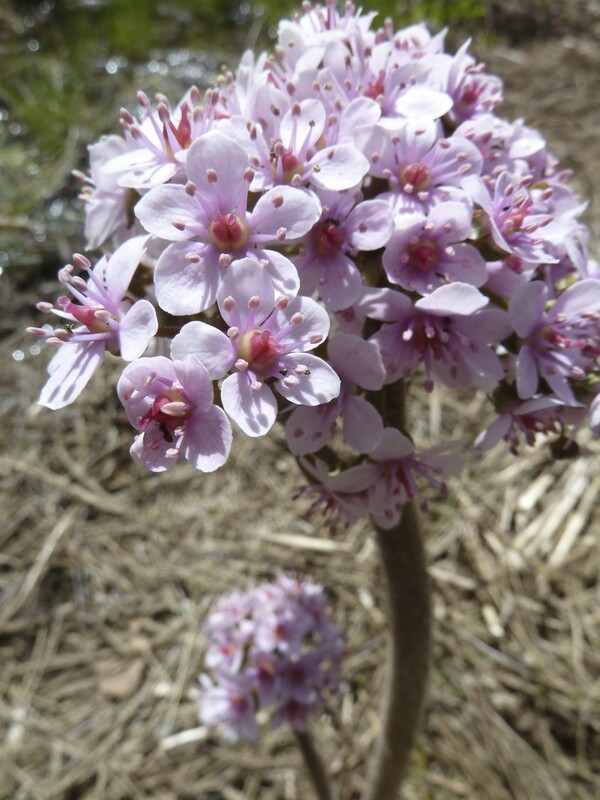 Umbrella plant or Indian rhubarb (Darmera peltatum) flower, emerging prior to the large leaves in spring. 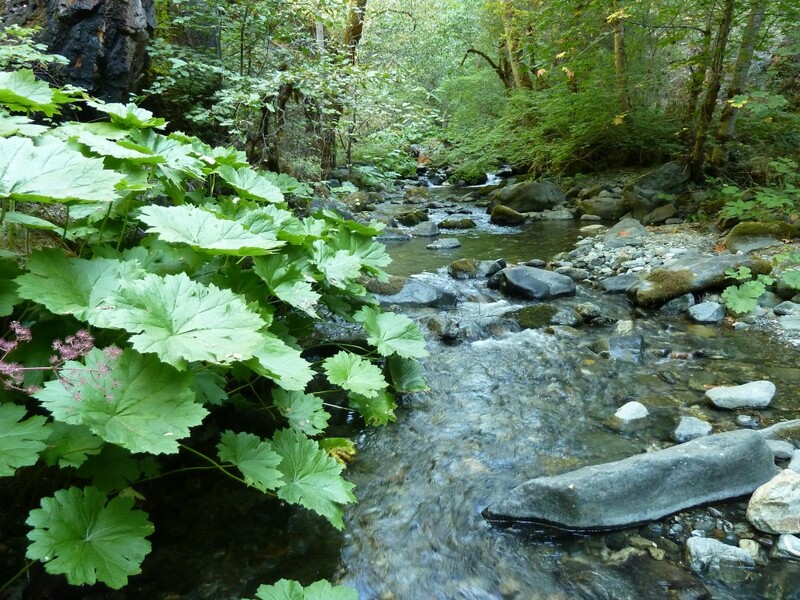 Umbrella plant or Indian rhubarb (Darmera peltatum) on Goff Creek, a tributary to the Klamath River. 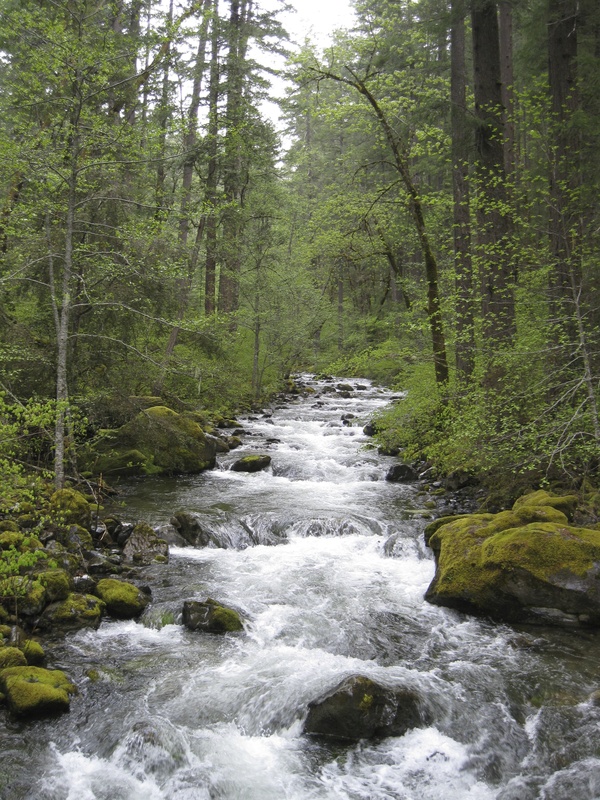 The following is a description of the Klamath-Siskiyou by the World Wildlife Fund. The Klamath-Siskiyou Region is on WWF’s “Global 200: The Most Outstanding and Representative Areas of Biodiversity.” For their complete description please visit the link below. This description was written in the 1990s, but is still relevant to this day. 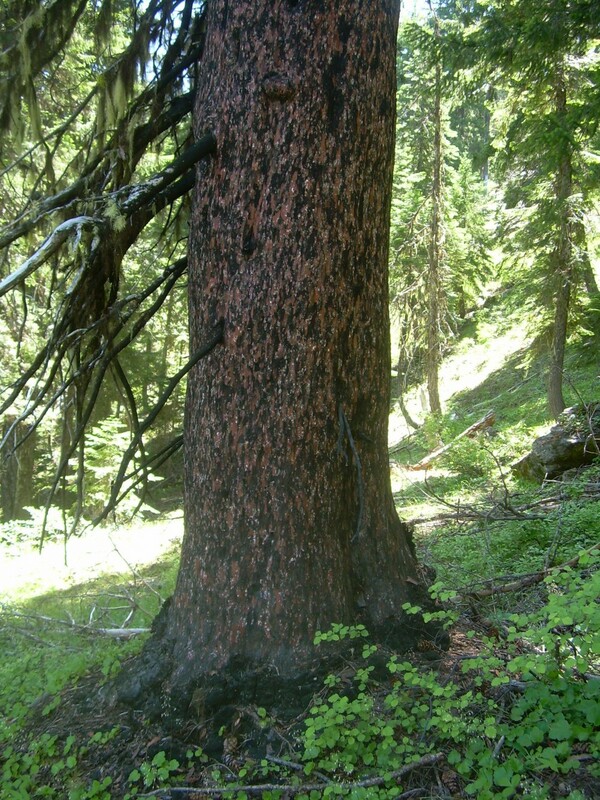 “Temperate Coniferous Forest: Located in northwestern California and southwestern Oregon, complex terrain, geology, climate, and biogeographic history have created one of the Earth’s most extraordinary expressions of temperate biodiversity in the Klamath and Siskiyou Mountains. 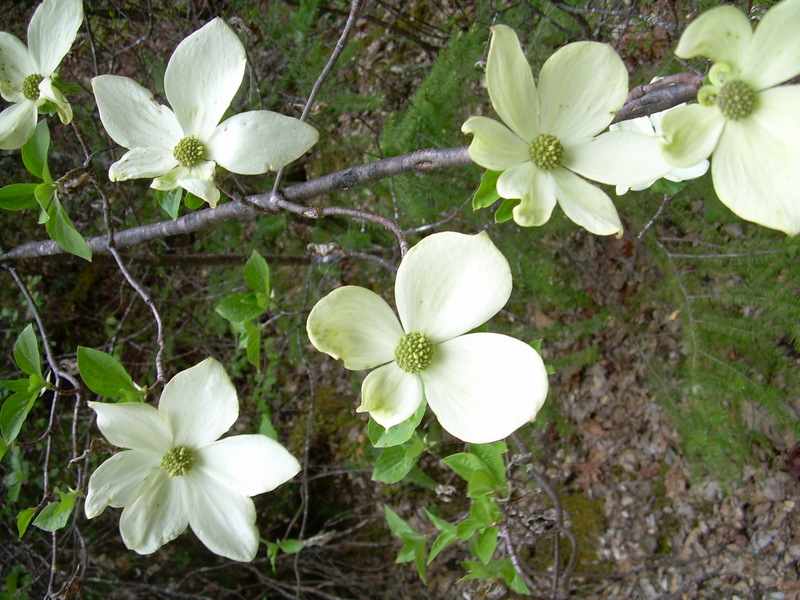 Although well known among biologists, few North Americans realize the uniqueness and importance of the species and communities in this ecoregion. Indeed, logging, mining, road building, and grazing continue to be intensive and pervasive threats to this area. Mountain monardella (Monardella odoratissima) on Abney Butte on the Siskiyou Crest, looking toward Cook ‘n Green Butte. 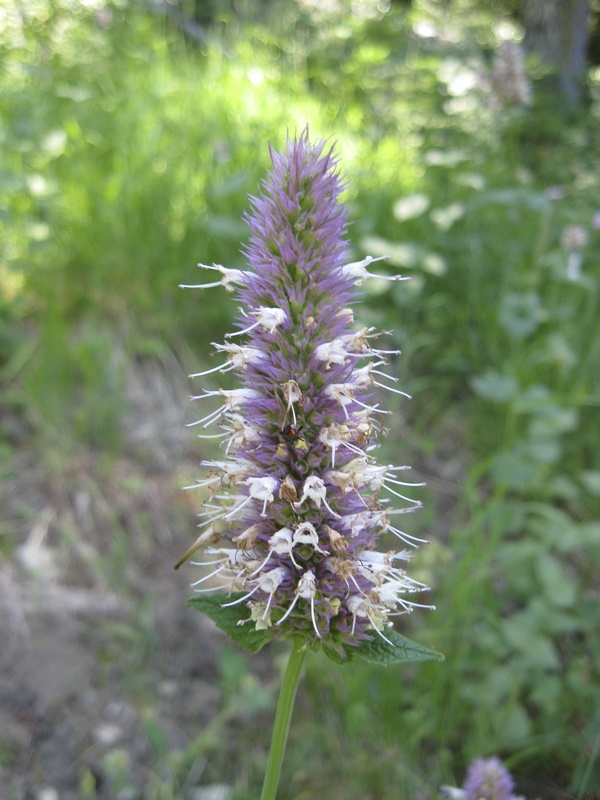 Horsemint (Agastache urticifolia) in the large meadows of the Silver Fork Basin, the headwaters of Elliott Creek in the Siskiyou Mountains. 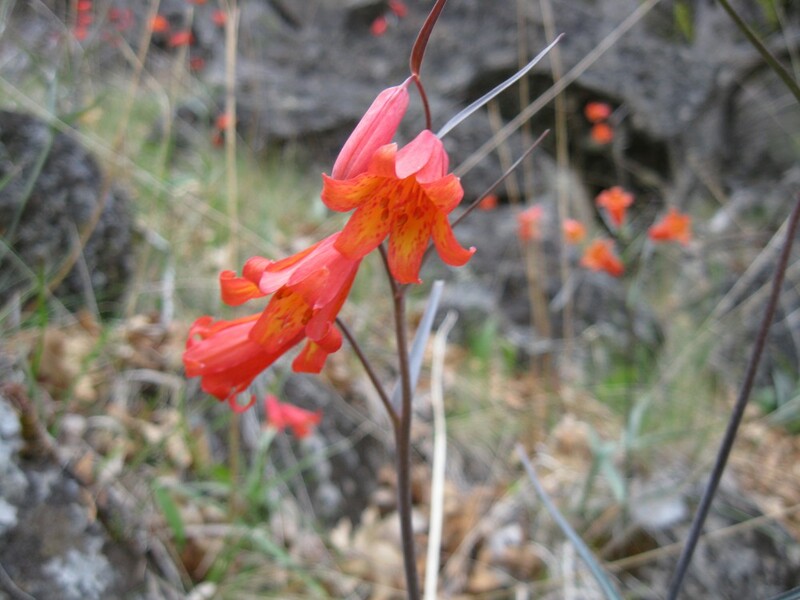 The Klamath-Siskiyou ecoregion is considered a global center of biodiversity (Wallace 1982), an IUCN Area of Global Botanical Significance (1 of 7 in North America), and is proposed as a World Heritage Site and UNESCO Biosphere Reserve (Vance-Borland et al. 1995). 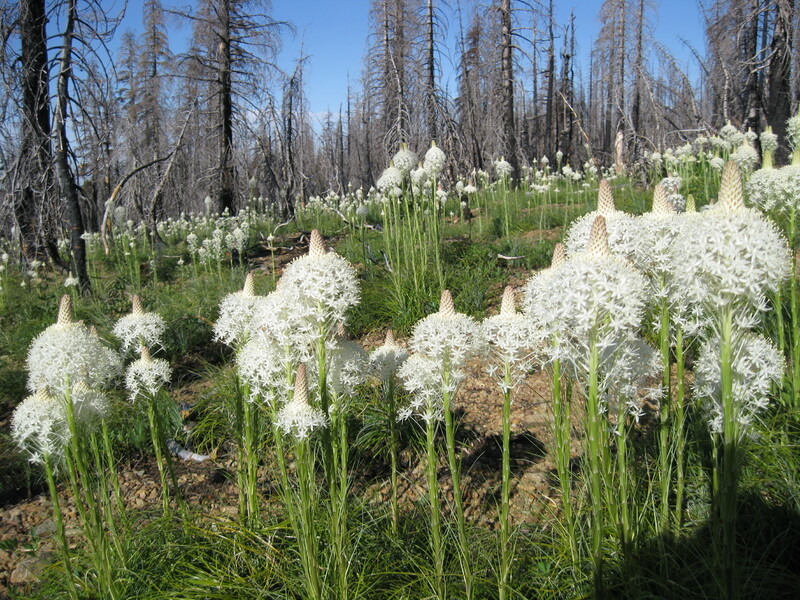 The biodiversity of these rugged coastal mountains of northwestern California and southwestern Oregon has garnered this acclaim because the region harbors one of the four richest temperate coniferous forests in the world (along with the Southeastern Conifer forests of North America, forests of Sichuan, China, and the forests of the Primorye region of the Russian Far East), with complex biogeographic patterns, high endemism, and unusual community assemblages. A variety of factors contribute to the region’s extraordinary living wealth. The region escaped extensive glaciation during recent ice ages, providing both a refuge for numerous taxa and long periods of relatively favorable conditions for species to adapt to specialized conditions. Shifts in climate over time have helped make this ecoregion a junction and transition zone for several major biotas, namely those of the Great Basin, the Oregon Coast Range, the Cascades Range, the Sierra Nevada, the California Central Valley, and Coastal Province of Northern California. Elements from all of these zones are currently present in the ecoregion’s communities. 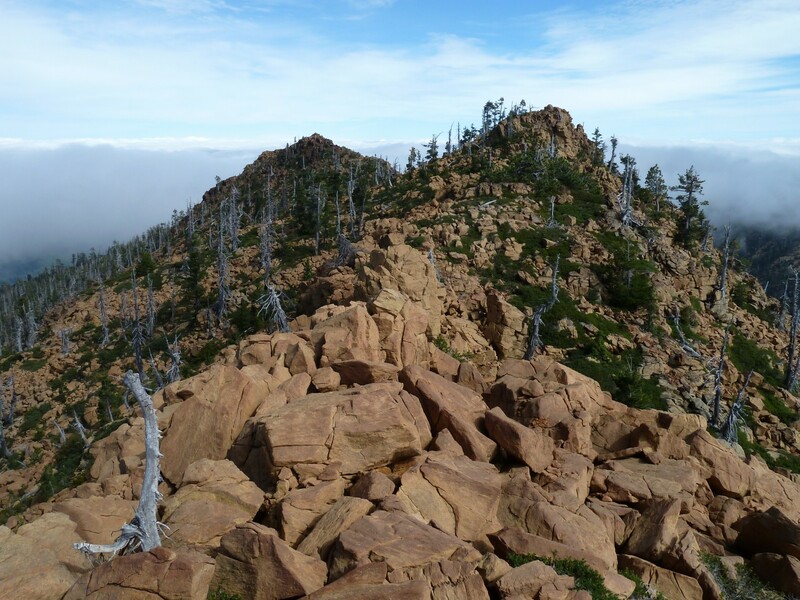 Temperate conifer tree species richness reaches a global maximum in the Klamath-Siskiyous with 30 species, including 7 endemics, and alpha diversity (single-site) measured at 17 species within a single square mile (2.59 km2) at one locality (Vance-Borland et al. 1995). 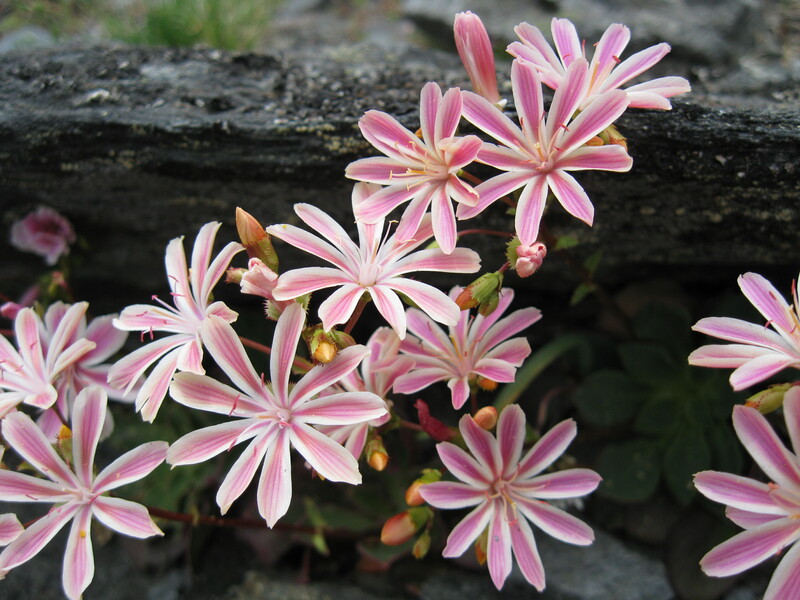 Overall, around 3,500 plant species are known from the region, with many habitat specialists (including 90 serpentine specialists) and local endemics. 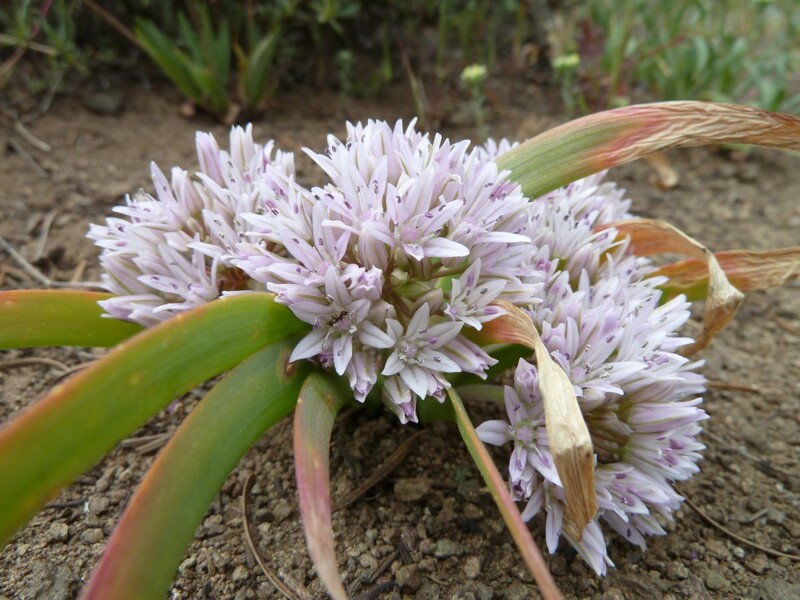 Henderson’s horkelia (Horkelia hendersonii), an endemic species, on the Siskiyou Crest. significantly contribute to species extinction. Several of the only known localities for endemic harvestman, spiders, land snails, and other invertebrates have been heavily altered or lost through logging within the last decade, and the current status of these species is unknown (Olson 1991). 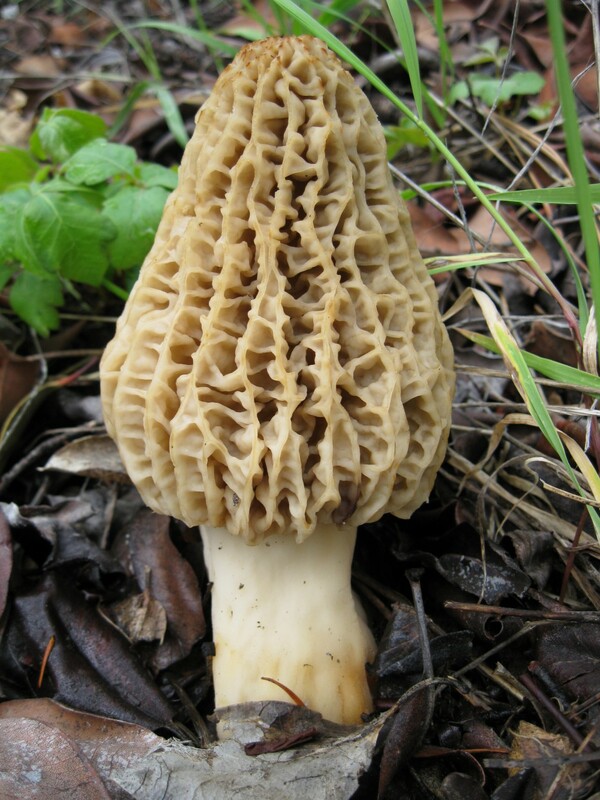 Unfortunately, many invertebrate species with distribution patterns and habitat preferences that make them prone to extinction, such as old growth specialist species, are rarely recognized or listed as federal endangered species. Indeed, 83 species of Pacific Northwest freshwater mussels and land snails with extensive documentation of their endangerment were denied federal listing by the U.S. Fish and Wildlife Service in 1994 (J. Belsky, pers. comm. 1994). 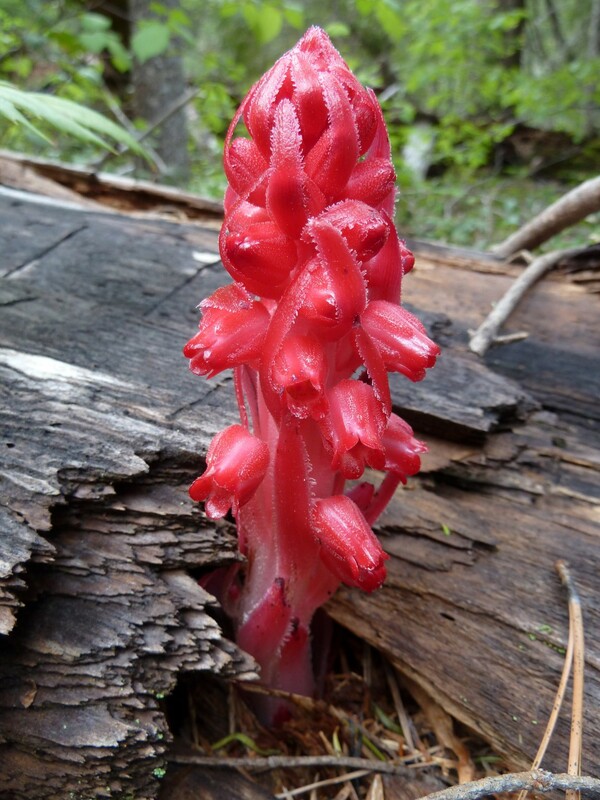 Snow plant (Sarcodes sanguinea) in the Klamath Mountains. 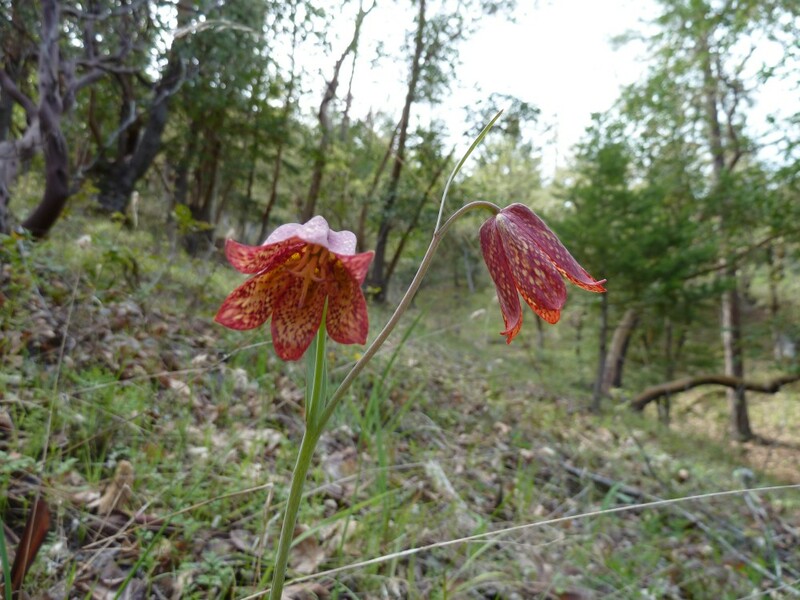 Gentner’s frittilaria (Frittilaria gentneri), an endemic species, in the foothills of the Applegate Valley. Monarch butterflies are an iconic species. Many people remember a time when they were omnipresent in the summer in the United States, but times have unfortunately changed as the monarch butterfly faces more threats to their survival than ever. The monarch butterfly is known by scientists as Danaus plexippus, which in Greek literally means “sleepy transformation.” Monarchs that live east of the continental divide embark on a spectacular annual migration to winter roost sites in oyamel trees in the mountains of Michoacán, Mexico. The World Wildlife Fund explained the results of a recent survey of monarch populations as follows: “A new survey of migratory monarch butterflies at their wintering habitat shows a 69% increase in the area they occupied this winter in relation to last year’s winter. Yet this is still the second smallest area occupied by these butterflies in Mexican sanctuaries since 1993. Monarch butterflies, which hibernate in Mexico, migrate between 1,200 to 2,800 miles from Canada and the United States to establish their colonies in temperate forests in the outskirts of Michoacán and the State of Mexico. The forest area occupied by these colonies serves as an indirect indicator of the number of butterflies that come to Mexico. To survey these colonies, biweekly trips were made to colonies with a historic presence of butterflies, and the location and perimeters occupied by monarchs was determined using a spatial analysis software. The study was carried out by the WWF-Telcel Alliance and Mexico’s National Commission of Protected Natural Areas. In total, nine monarch butterfly colonies were recorded, both inside and outside of the Monarch Butterfly Reserve. Pismo beach, California monarch grove in January. 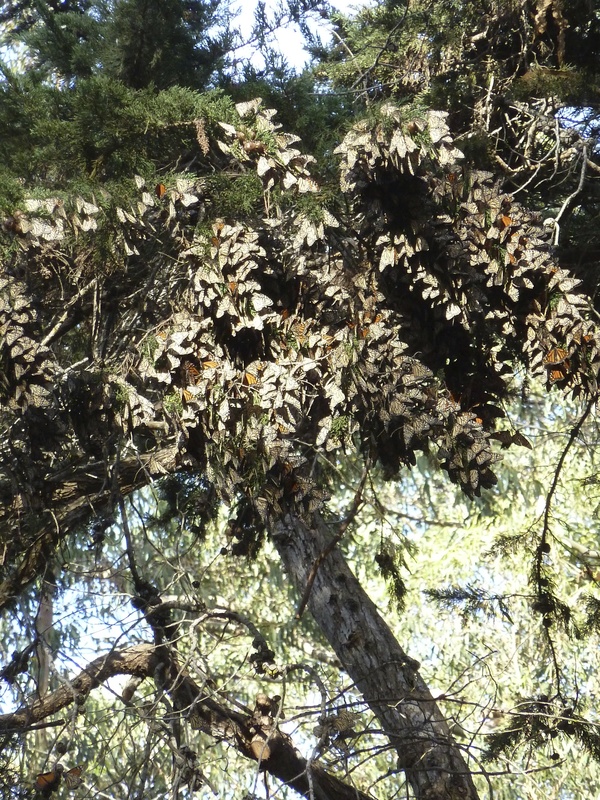 The monarchs are on a Monterey cypress tree. Pismo beach, California monarch grove in January. 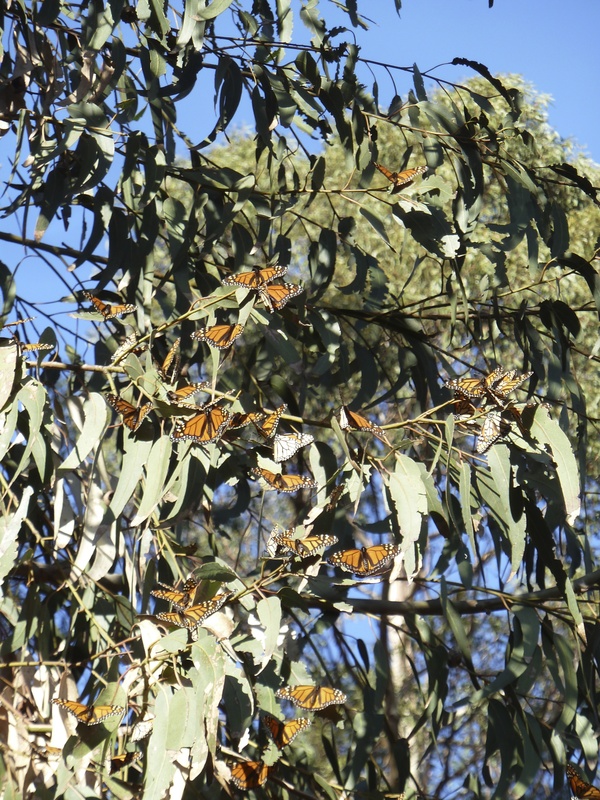 Monarchs are on non-native eucalyptus trees. There are many reasons for this significant decline, including agricultural and urban development, pesticides, logging of overwintering habitat in Mexico, climate change, and loss of milkweed, the main food source for monarch larvae. Monarch chrysalis on showy milkweed. 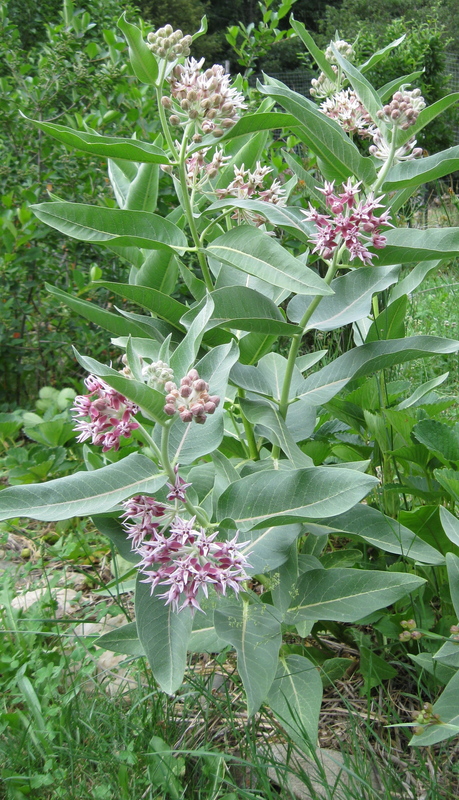 Milkweed has long had a bad rap because of its potential toxicity to livestock. 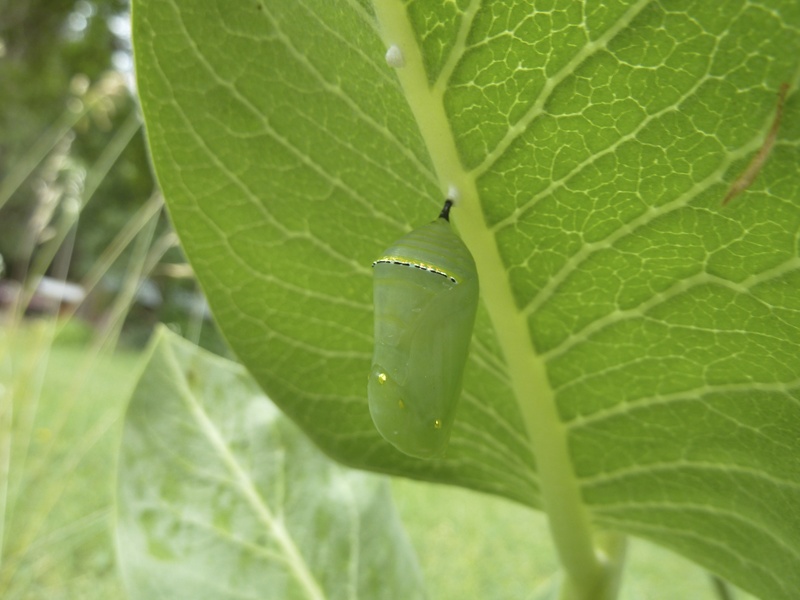 Many farmers consider the plant a weed and either spray it with herbicides or simply plow it under; however, female monarch butterflies lay their eggs exclusively on the leaves of milkweed plants. These host plants are the only food that monarch caterpillars will eat. 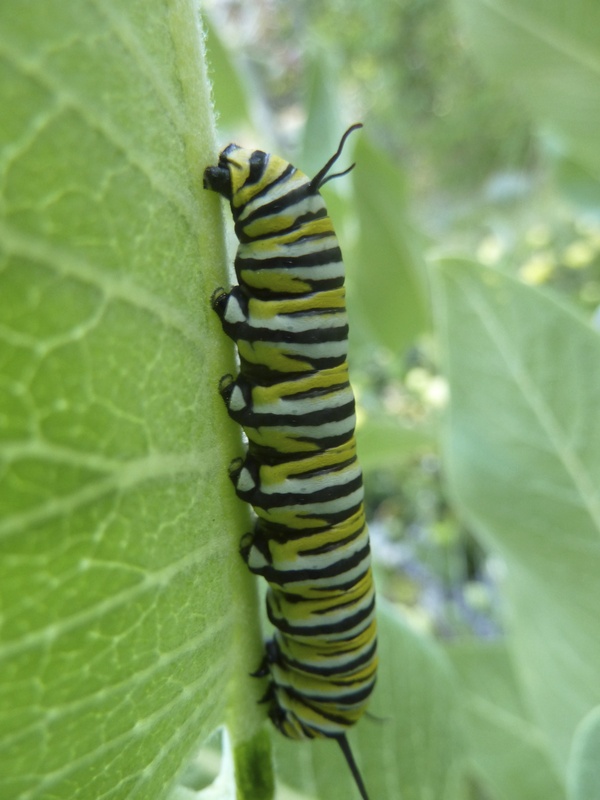 As the caterpillars ingest milkweed the toxins in the plant are stored in their bodies, making the caterpillars and adults toxic to many predators. 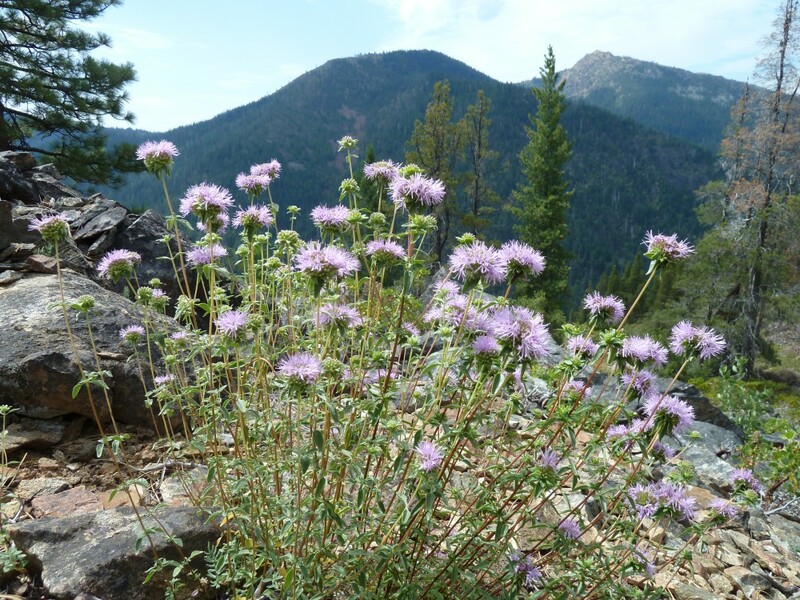 The Klamath-Siskiyou bioregion is home to three native species of milkweed: Showy milkweed (Asclepias speciosa), Narrowleaf milkweed (Asclepias fascicularis), and Purple milkweed (Asclepias cordifolia). Showy milkweed can be spotted along roadsides, in drainage ditches, in unplowed fields, and other locations within the valley bottom. This species ranges from the Midwest to the west coast and north into Canada. 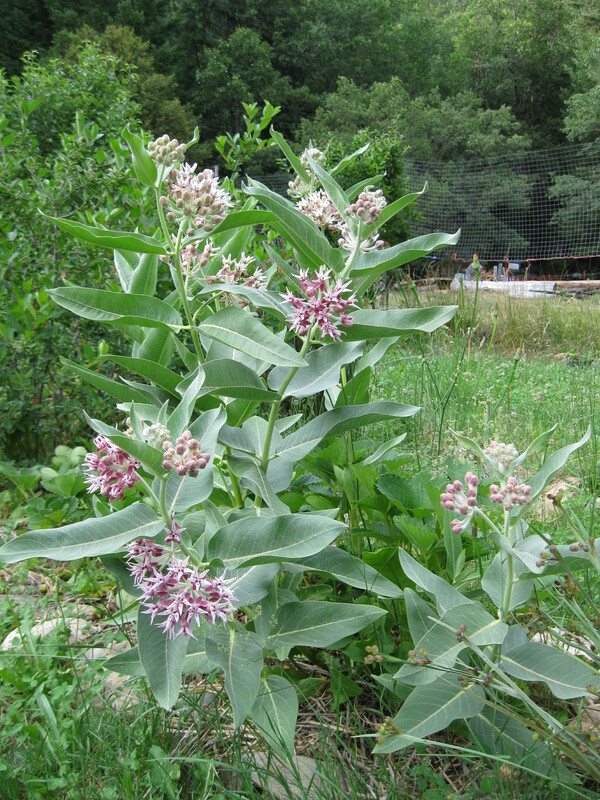 This is the largest of the milkweed species in the Klamath-Siskiyou and the most common. 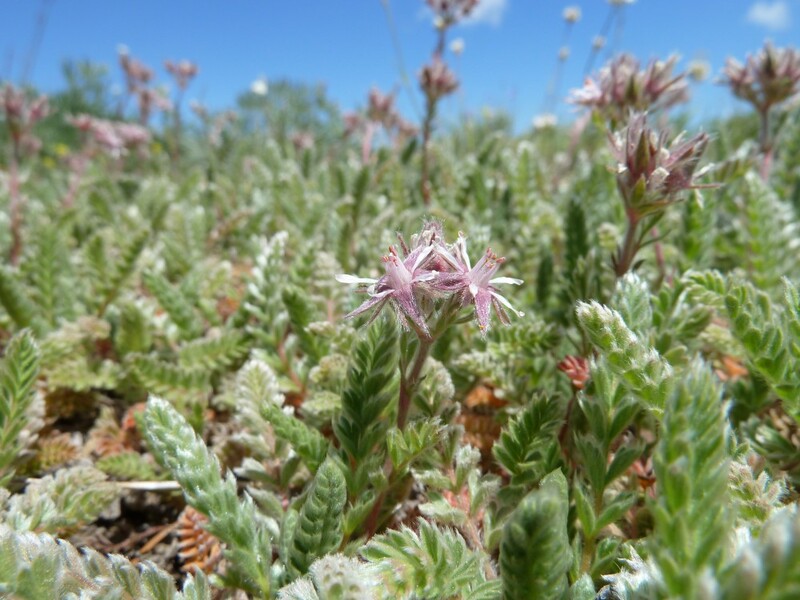 Narrowleaf milkweed has a long, narrow leaf and small, pale pink flowers with a distribution that includes most western states down to Baja California. This plant is rhizomatous and spreads readily. 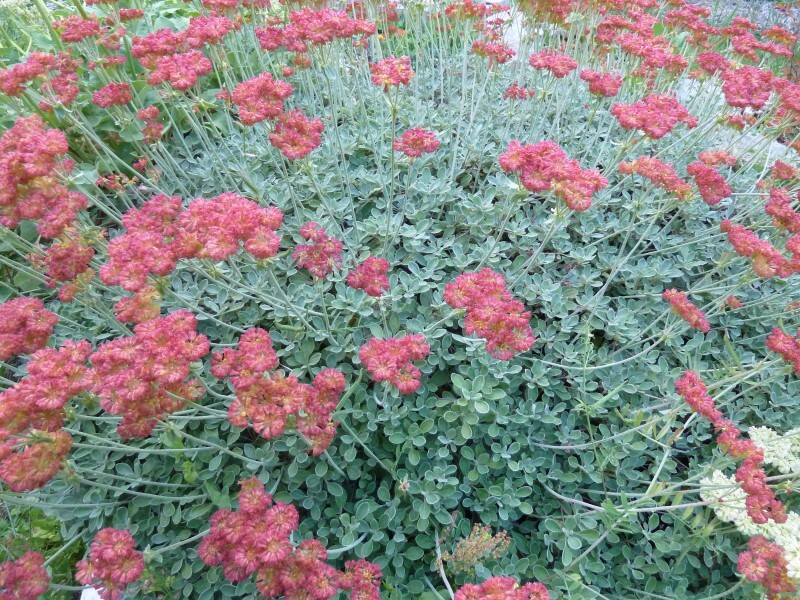 It prefers to grow in full sun in dry or moist conditions. 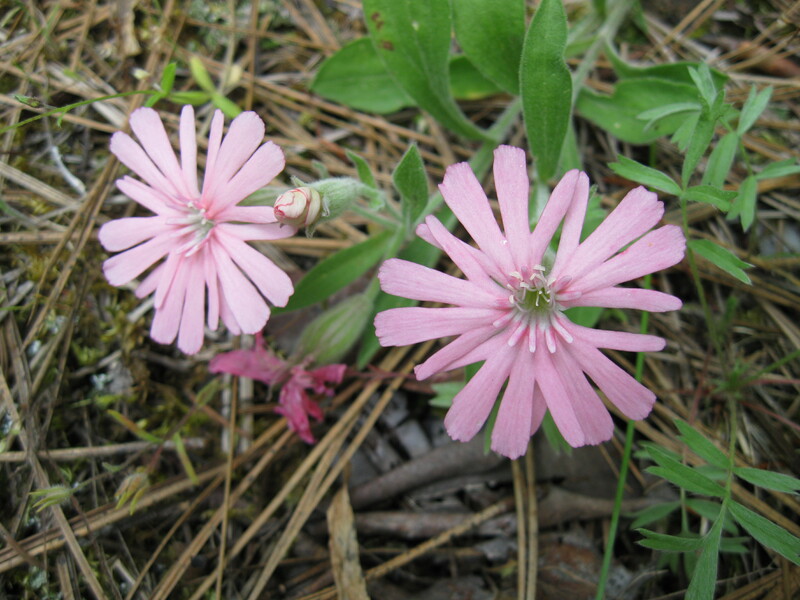 It can also be found in abandoned or unplowed fields and along roadside ditches in low elevation habitat. Purple milkweed is a spectacularly beautiful species that is native to parts of California, Nevada and Oregon. 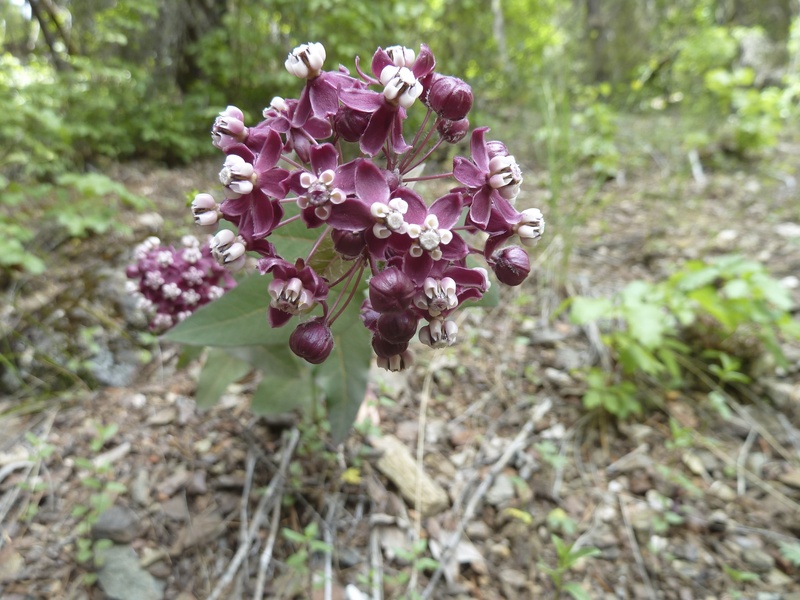 Purple milkweed has a more dispersed distribution within the Klamath-Siskiyou than the showy or narrowleaf milkweed and is less well known. 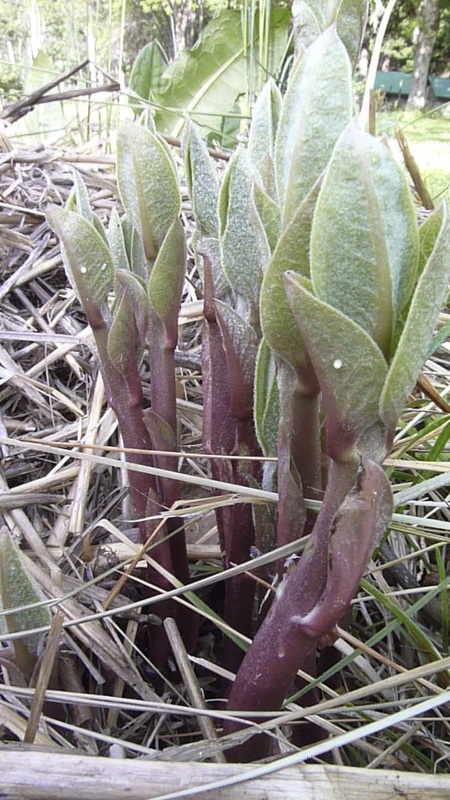 Purple milkweed prefers to grow on rocky slopes or outcrops in woodland and coniferous forests. Native Americans used the fiber in milkweed plants for the creation of ropes and nets. Anthropologists found a 40 foot long deer net made from purple milkweed that required an estimated 35,000 plant stalks to construct. The monarch population continues to decline at an alarming rate. If we don’t act soon to increase, protect and restore monarch habitat we may see the population of this majestic and iconic species dwindle. 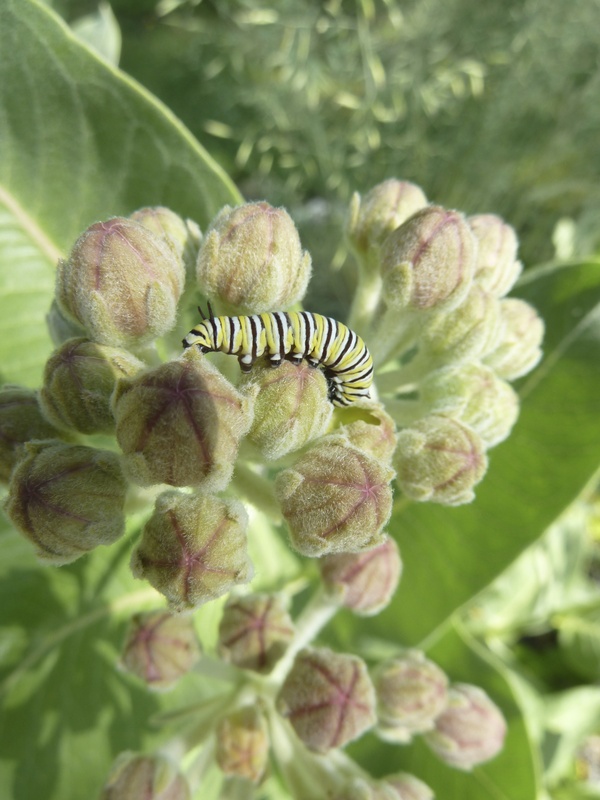 Consider planting milkweed for monarch butterfly recovery; you will be glad you did. 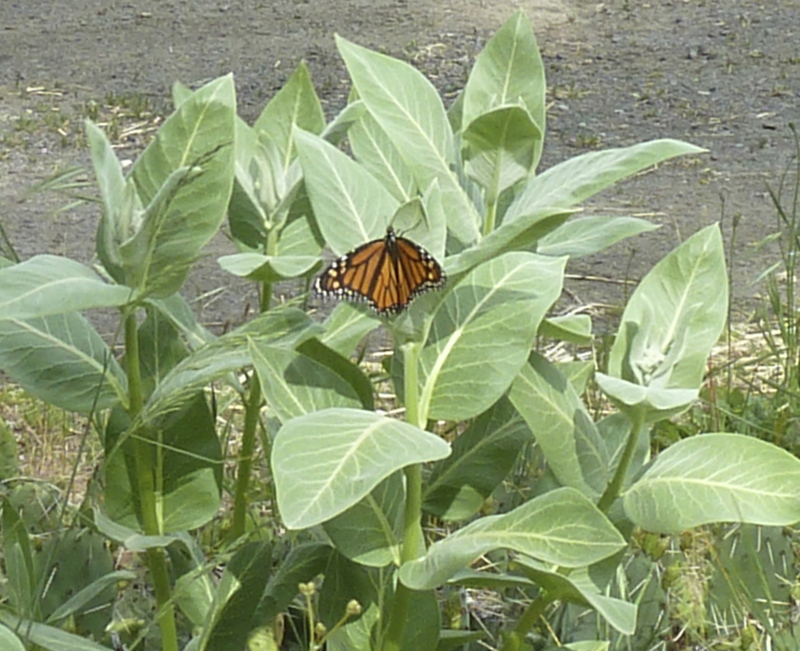 Within a short time the monarchs will find your patch of milkweed and begin using it for their reproduction and migratory needs to insure their survival into the future. You may not personally be able to do much to help other endangered species, like polar bears for instance, but there is a tangible thing you can do to help the endangered monarch butterfly: plant milkweed! You can help an endangered species right in your own backyard. Responding to a petition from environmental organizations and butterfly advocacy groups, the U.S. Fish and Wildlife Service (USFWS) opened a “status review,” a step in the right direction toward future recovery of monarch butterflies. This week marks the end of the public comment period for the status review, in which the USFWS was asking for public input on whether or not monarch butterflies warrant endangered species protection. Let’s hope the USFWS does the right thing and lists the monarch as an endangered species under the Endangered Species Act. 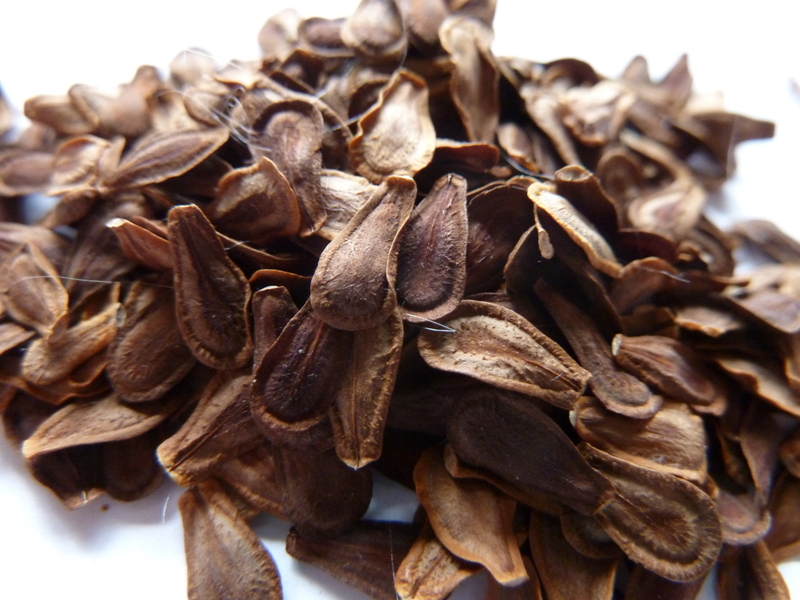 Klamath-Siskiyou Native Seeds currently has both showy milkweed and narrow leaf milkweed seeds for sale. Hopefully next year we will also add purple milkweed to our inventory. Oregon white oak (Quercus garryana) growing in the lowlands of the Little Applegate River. For millennia people have been planting and cultivating native plants that grow wild around them for food, medicine, ceremonial or ornamental purposes. 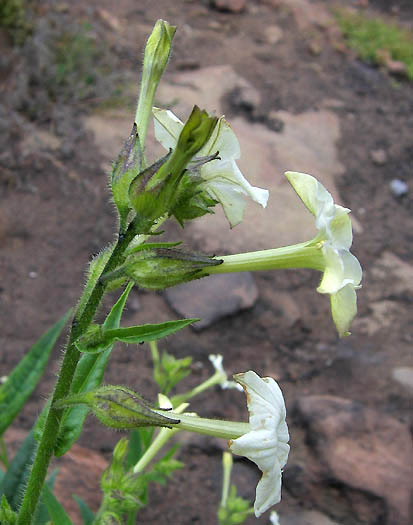 In the Klamath-Siskiyou region indigenous people — the Karuk and Takelma, for example — historically cultivated native coyote tobacco (Nicotiana attenuata) and Indian tobacco (Nicotiana quadravalis) for smoking according to tribal customs. This tradition still lives on in some places. Hazelnut (Corylus cornuta var. 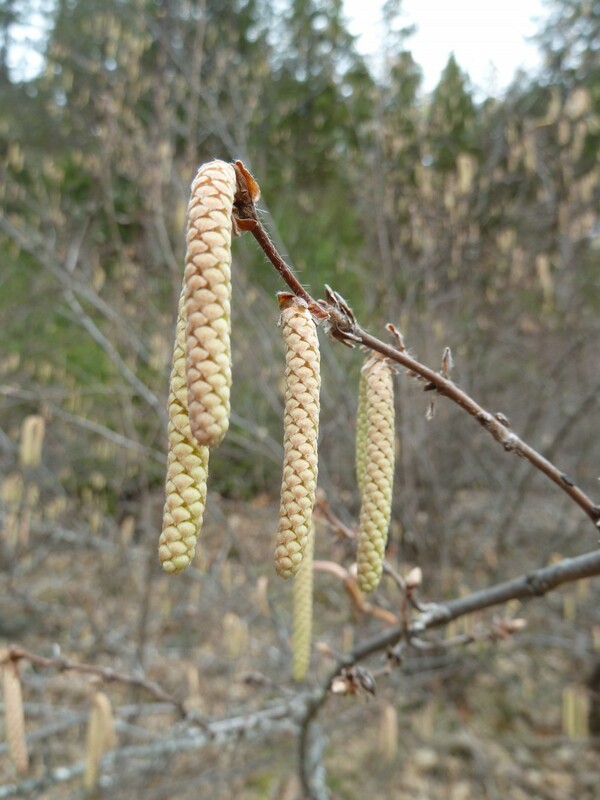 californica) catkins in late winter. In M. Kat Anderson’s pivotal book, Tending the Wild: Native American Knowledge and the Management of California’s Natural Resources, she explains how other plants were either deliberately planted, transplanted, or otherwise encouraged for better growth or a more convenient harvesting location by Indians, namely near village sites. These include, but are not limited to, Hind’s walnut (Juglans californica var. 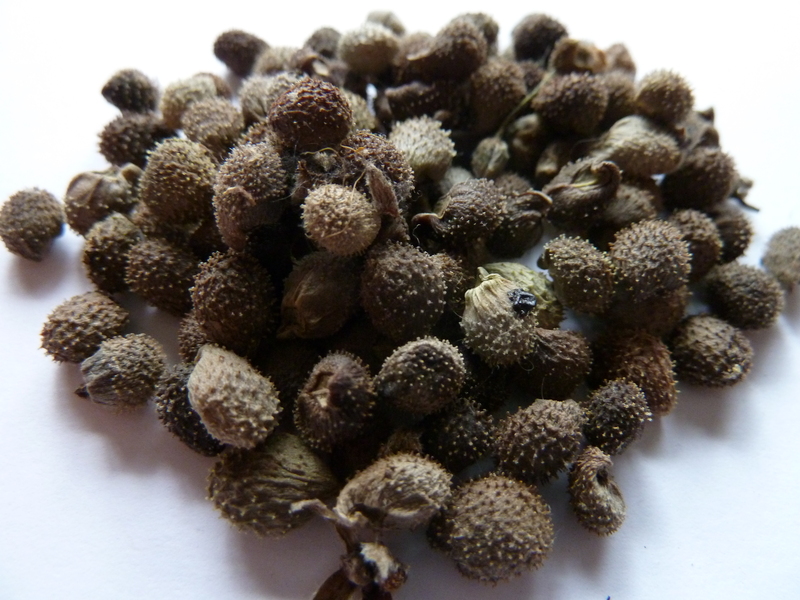 hindsii), hazelnut (Corylus cornuta var. 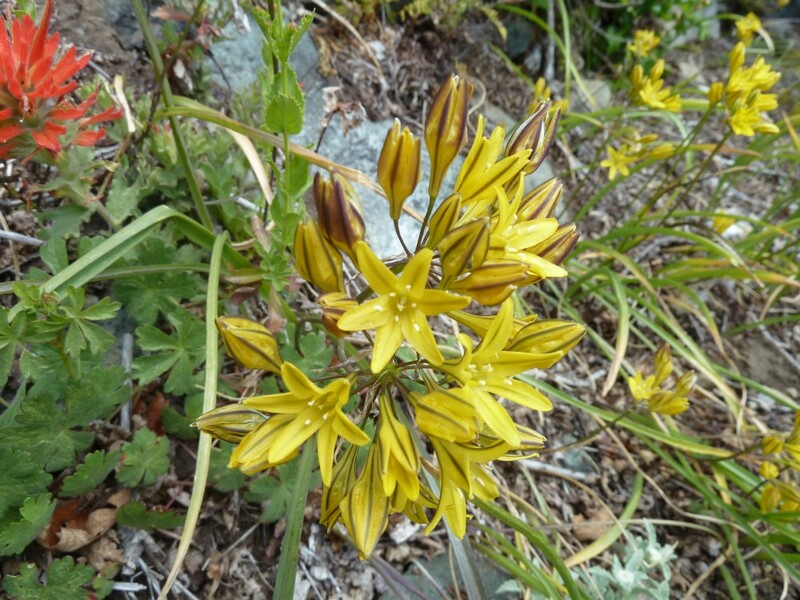 californica), oak species, such as the preferred black oak (Quercus kelloggii) or tanoak (Notholithocarpus densiflorus), and many bulbs, tubers, or corms, such as camas (Camassia quamash and Camassia leichtlinii), yampah (Perideridia spp. 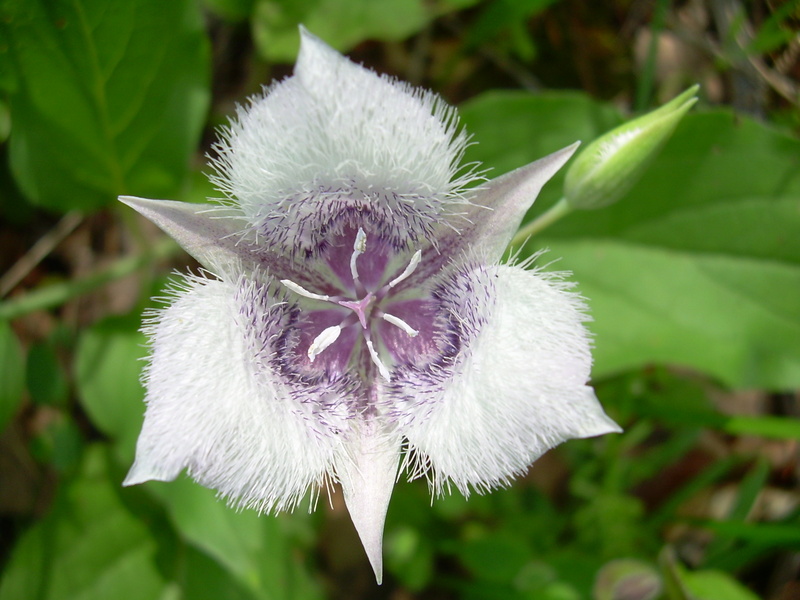 ), mariposa lilies (Calochortus spp. 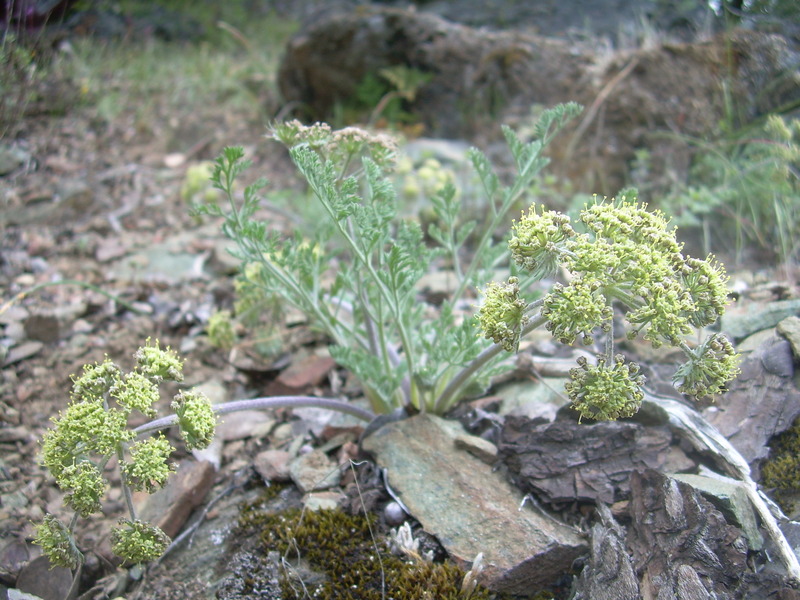 ), lomatium (Lomatium spp. 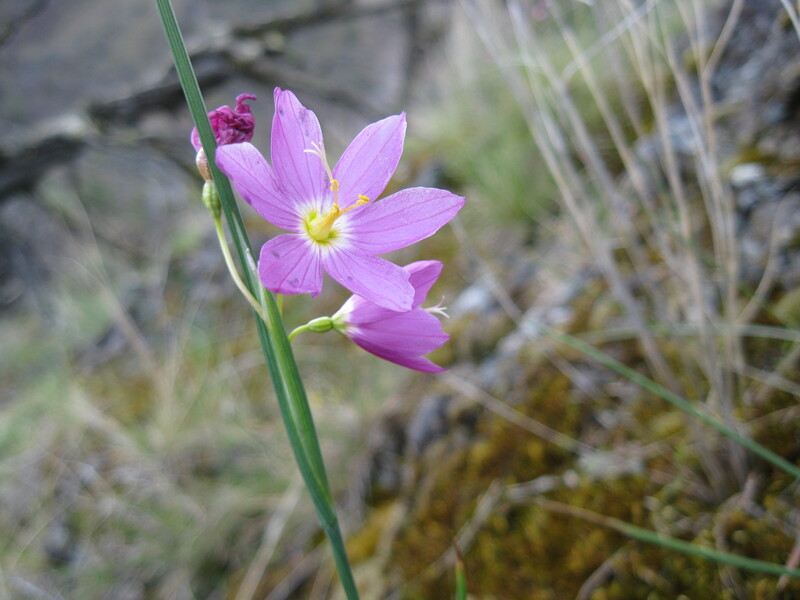 ), and brodieaeas (Brodiaea, Dichelotstemma, and Triteleia spp. ), to name but a few. 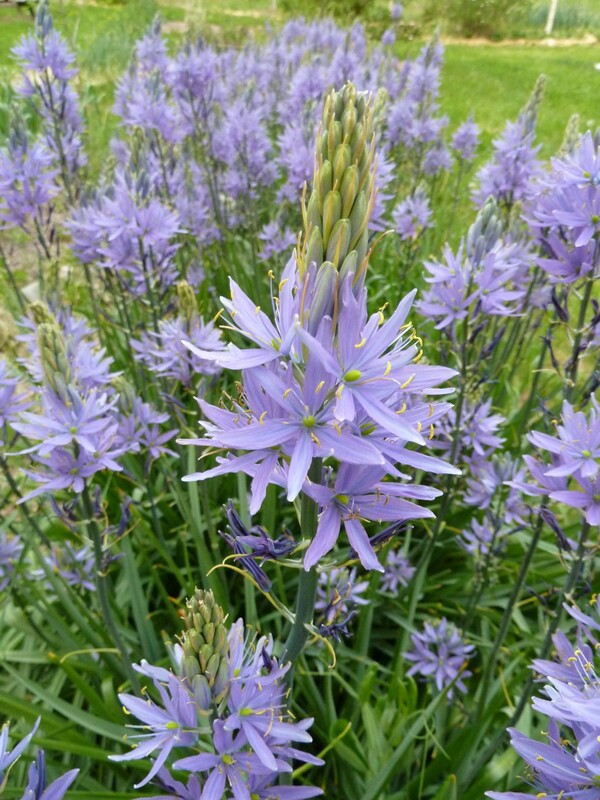 Large camas (Camassia leichtlinii) growing in our garden. 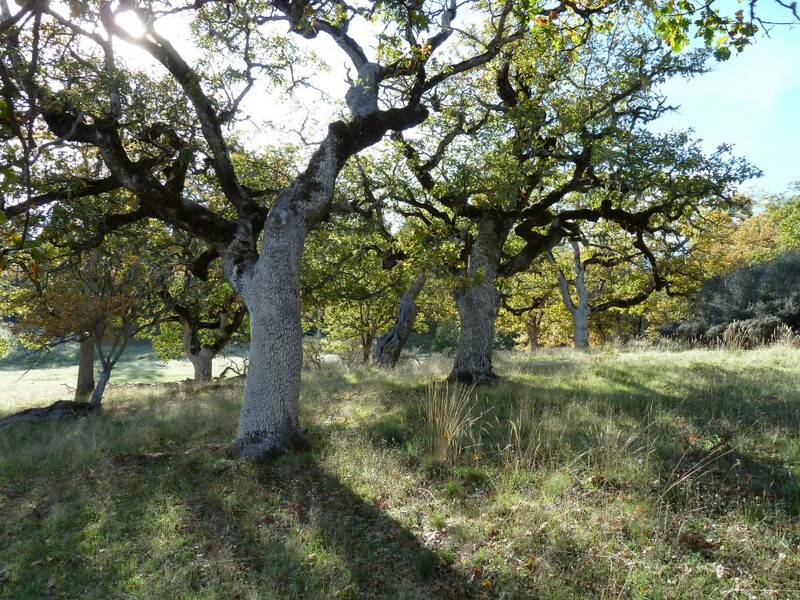 As modern humans living in this same, yet altered landscape, we can continue this relationship to native plants that surround us in the Klamath-Siskiyou bioregion. We may not be harvesting camas to eat it anymore — although some still do — but we can plant camas and other native bulbs to add to the ecological diversity of our own backyards, landscaping and homesteads to provide beauty for ourselves, and habitat for the wild critters that still depend on native plants to thrive. While the modern nursery industry is hell-bent on developing the next, newer, and supposedly better cultivated strains to keep commercializing and patenting plants for commercial production, the option of sticking to native, localized plant genetics — unaltered by the manipulation of industry — remains for plant enthusiasts who want to encourage a healthy and vibrant native ecosystem. 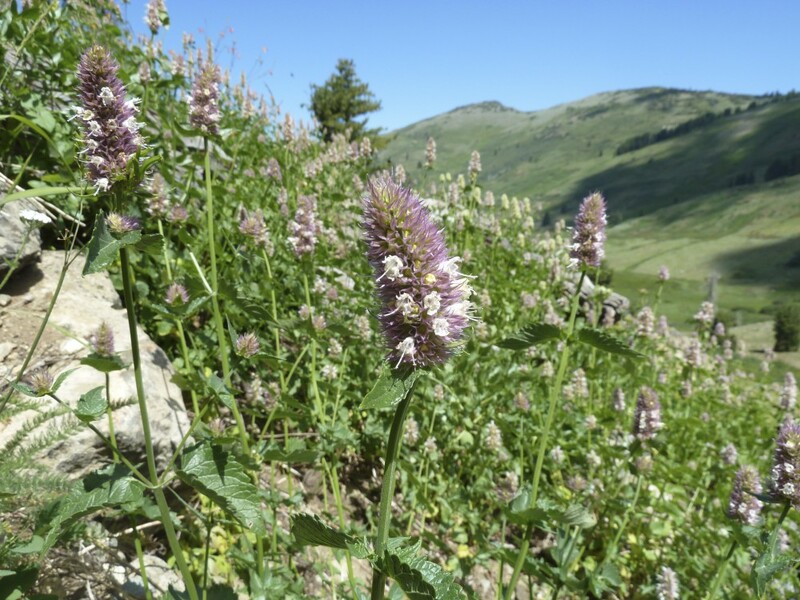 We can all do our part to keep native plant populations alive and well by growing natives. Grow Native, Grow Wild! 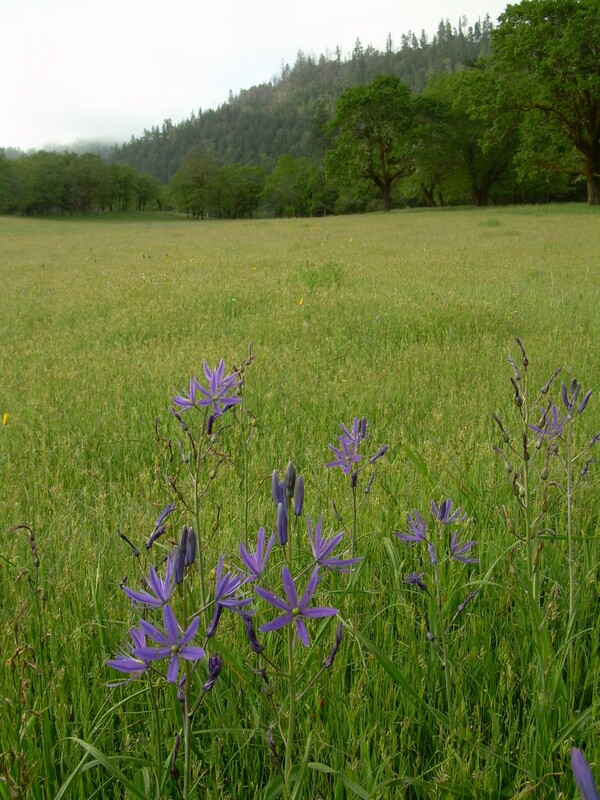 Camas (Camassia quamash) near an old Indian village site near Agness on the Illinois River. Spring is coming early to the Klamath-Siskiyou this year! 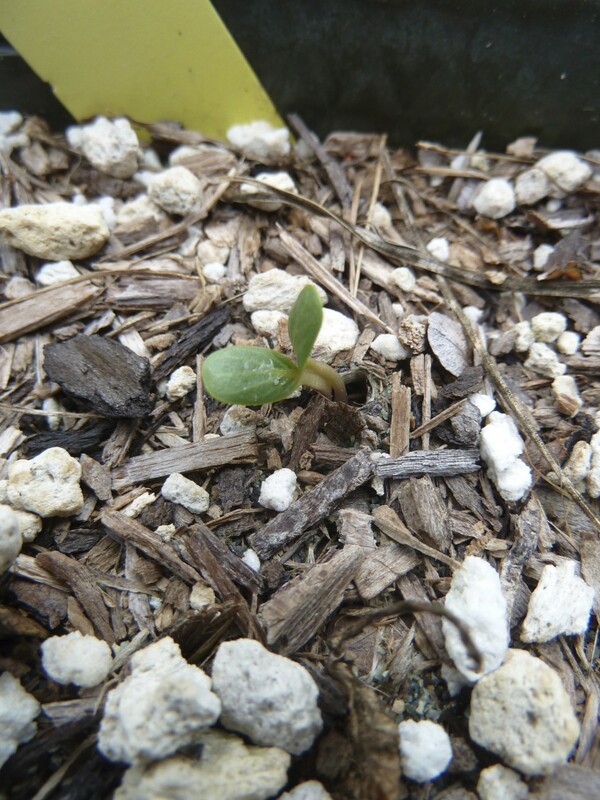 Purple milkweed (Asclepias cordifolia) sprouting in a seed pot. 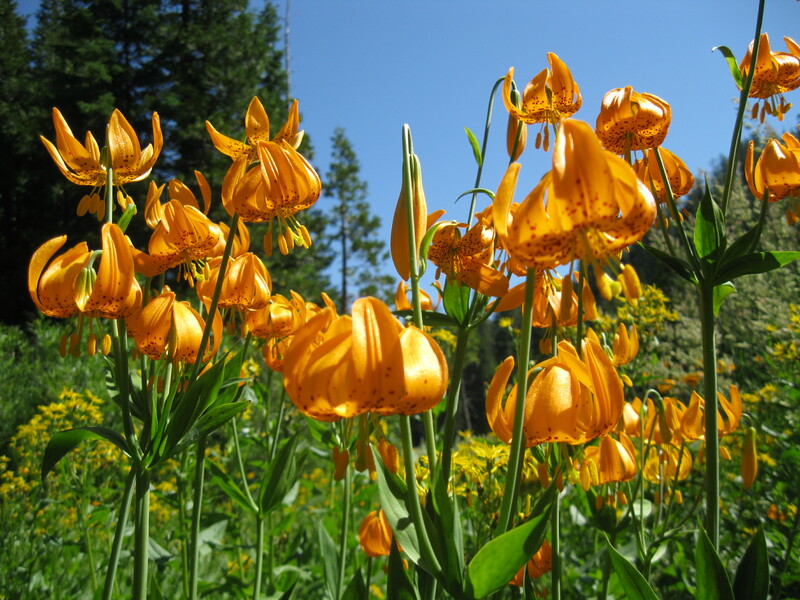 Klamath-Siskiyou Native Seeds offers a wide selection of native seeds from throughout the Klamath-Siskiyou region. 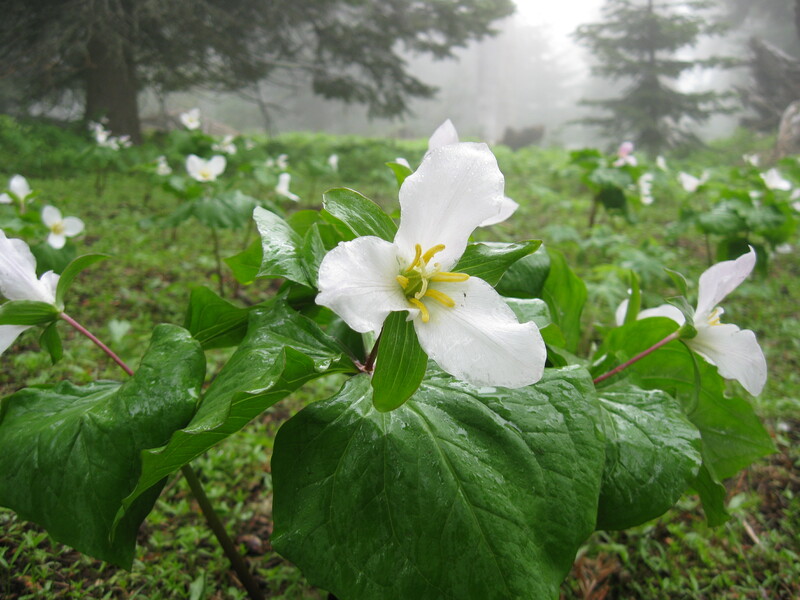 From low-elevation oak woodlands and grasslands; up through mid-slope forests, streams and draws, to the high-elevation meadows and craggy ridgelines of the region. 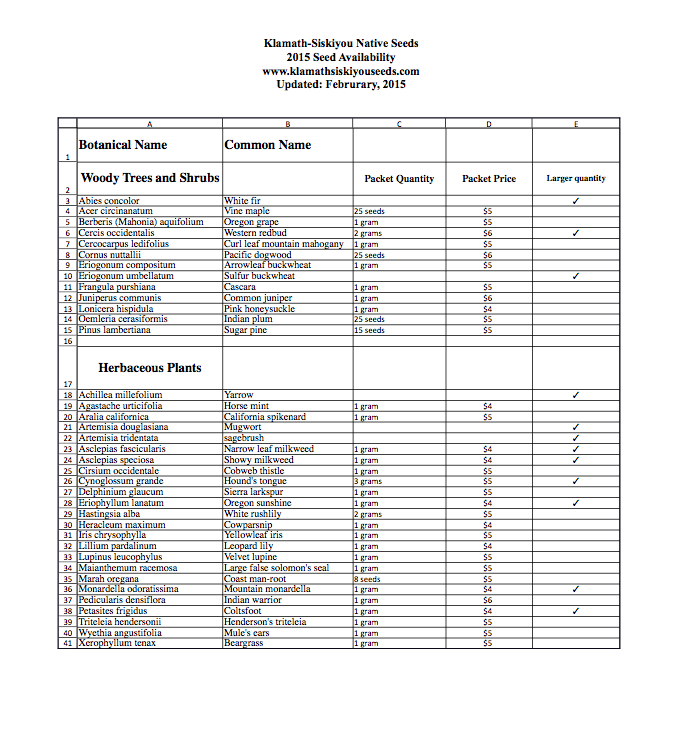 Seeds off all kinds of herbaceous and woody plants are offered: annual wildflowers, perennial wildflowers, woody shrubs, hardwood and conifer trees. All our seed is wildcrafted, hand-picked, cleaned by hand and packed by hand, then stored with care until your order. A selection of Klamath-Siskiyou Native Seed packets. Contact us at: klamathsiskiyou@gmail.com to place an order or for further information. Coming soon…Shopping cart capability on an upgraded website will be available by fall, 2015! We will make a concerted effort to get all orders out in a timely manner; however, we do live in a remote location and may take a week to get to town to mail off your order. Thanks for your patience. Below is a photo gallery highlighting some of our seed offerings, places where we pick seeds and the local places that inspire us.